I spent the afternoon at my friend’s place to catch up and gossip. She has bought a lot of nail products last time she visited Beijing and she wants to test them out. I let her do my nails =). I wasn’t interested in nails art before but now after I’ve tried them, they are not bad! It doesn’t have to be full on design. 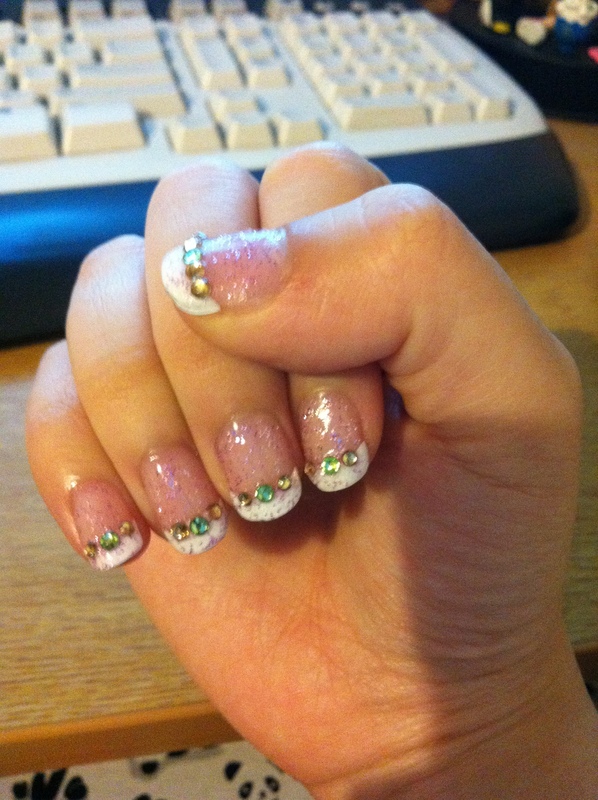 I like simple design like nail colour then a couple of bling bling crystals or something small stick on top. My friend did gel, french tips nails for me with combination of crystals. I really liked it but worry I’ll lost the crystals. Later I think I’ll need to lay another layer of top coat to protect the crytals. It was nice spending time with her to just chat and listen to how she was going. I’ll post again if she trial another design on me next time.